If you've been privy to the digital world you may have heard these buzzwords passed around, but what is the difference between 'earned', 'owned' and 'paid' media and what does it mean for your digital strategy? Traffic drawn to owned media: In the digital age the most critical asset available to a business is its own website. 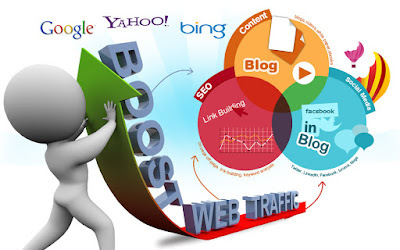 It is the landing place where traffic drawn from all forms of media lands with SEO being the primary method of growing organic traffic. However there is a vast amount of content available on the net and it is imperative that the content on the website be targeted to the primary buyer. The Content should be able to reflect the buyers various stages of the decision making process I.e. (Awareness, Interest, Evaluation, Consideration and Purchase ) Awareness can be raised by active blogging this is the top of the marketing funnel and active blogging can generate as much as 55% more traffic. The second stage is the interest stage, here a marketer needs to inform as to how his product is supposed to help to increase Interest. Evaluation in many cases could be difficult but with support from testimonials it becomes a much simpler task. With carefully selected testimonials a marketer can always lead the consumer to the purchase decision. Search engines usually penalize websites when visitors immediately bounce off the website thus creating content which make visitors stick around for longer becomes extremely important. Traffic generated by earned Media: Earned media is a form where various partner sites agree to host your content and thus drive traffic to your site. These could be multitude of options like paid hosting or shared hosting of content on Media sites like newspapers, online magazines etc. Another form of earned traffic is through social media. Thus it is essential to make the content shareable and unique to drive maximum awareness and traffic, as people share content that is unique and informative. Traffic Generated via Paid Media: Paid media is online ad campaigns such as Google ads, Face book ads, banner ads on websites, etc. It is important in this case to identify the personas of your target audience and their usual web behavior this can be done with a little help from Google analytics which provides information about what other things your visitors typically view on the web. Another Form of paid media is via mobile where targeted audiences based on location, demographic etc. can be targeted. A form of paid media that all digital marketers must keep in mind is Re-targeting, re-targeting helps in reaching out to people who although have visited your website but have not made any purchase. Important Note : While using paid media is to not lead the customer who has clicked on the ad to your main page. But the traffic should be directed towards the page which displays the product he has clicked on or a completely separate landing page to make the purchase process simpler.